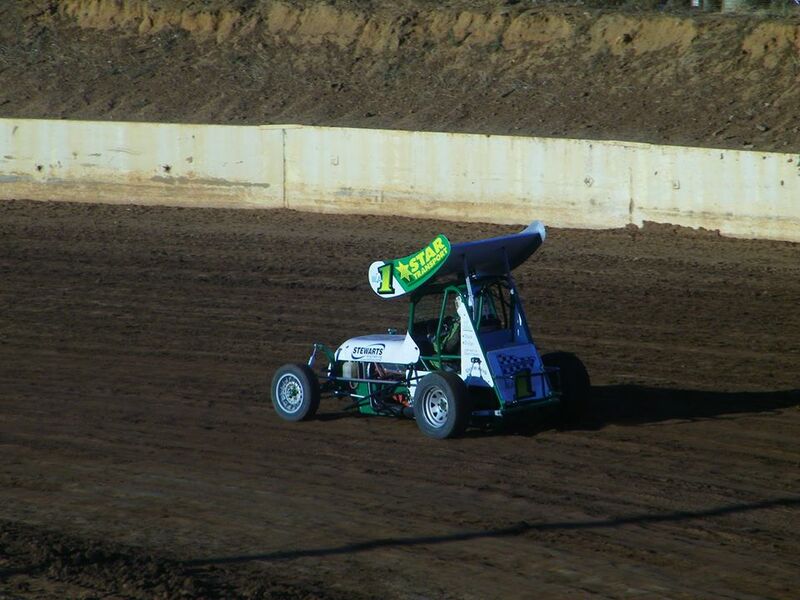 Racing commenced at the current site in 1992, Speedway had previously been held at the Boulder Oval site between 1962 and 1984. 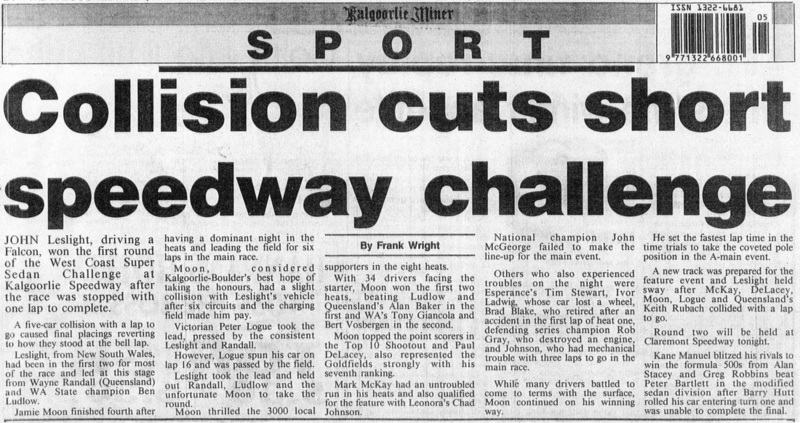 1996 - Max Dumesny - Brett Lacey and Garry Rush all in town for World Series Sprintcars. Photo: Peter French. 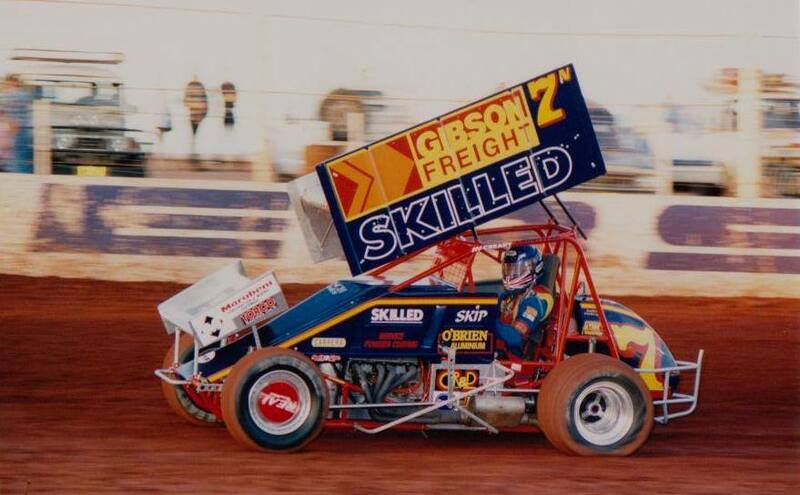 1996 - Skip Jackson from New South Wales was in town and at the top of his game. Photo: Peter French. 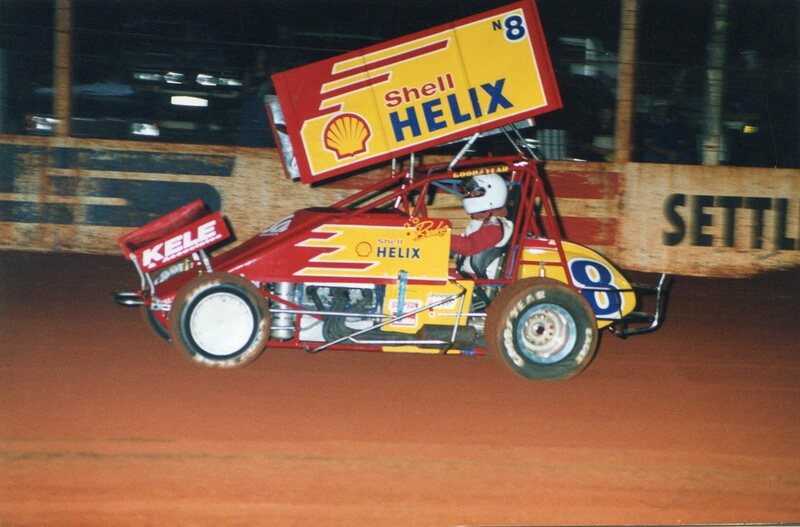 1999 - Brooke Tatnell from New South Wales having a fair crack at World Series Sprintcars. Photo: Jon Gall. 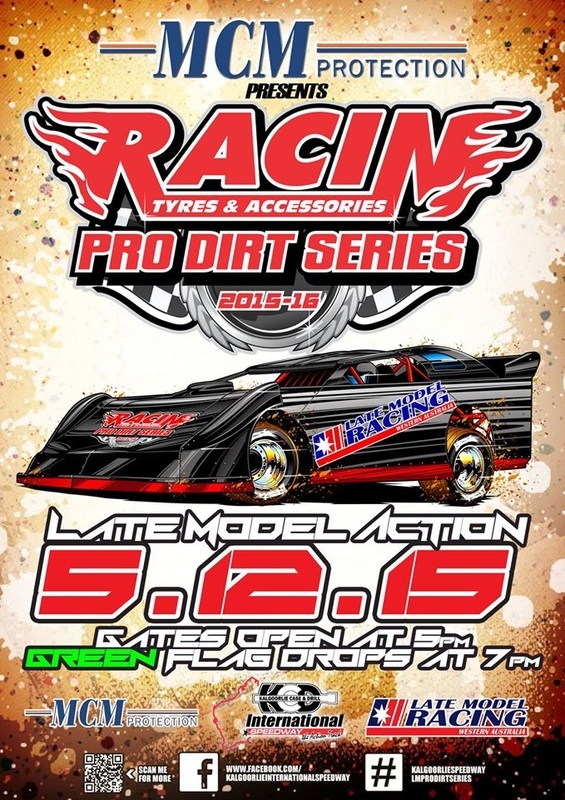 Lee Watt has taken out to Kalgoorlie round of the Pro Dirt series. Photo: unknown. 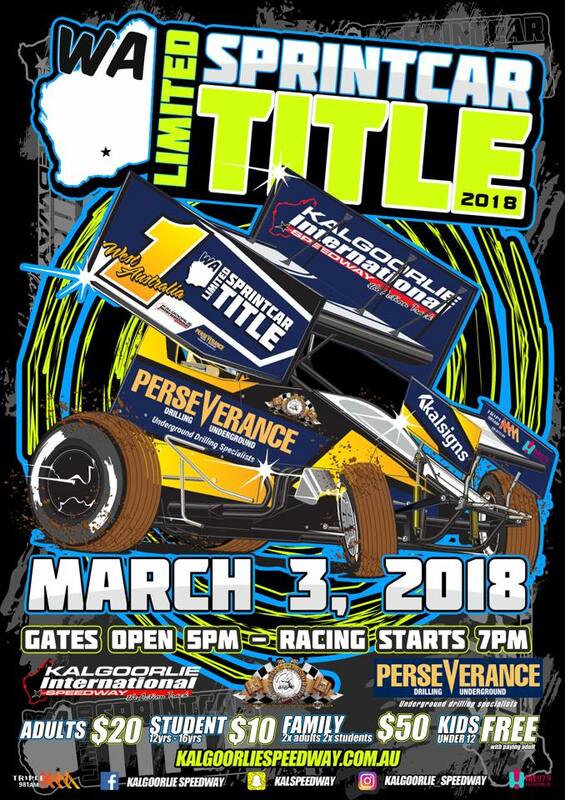 Esperance based Neville Williams retained his Western Australian Super Mod title, with a calculated drive at Kalgoorlie Speedway, Eighteen cars faced the starter in the 20 lap championship final with Williams startimg from position three, He was quickly up to position two and then involved in a substantial battle with race leader Damien McEllister. 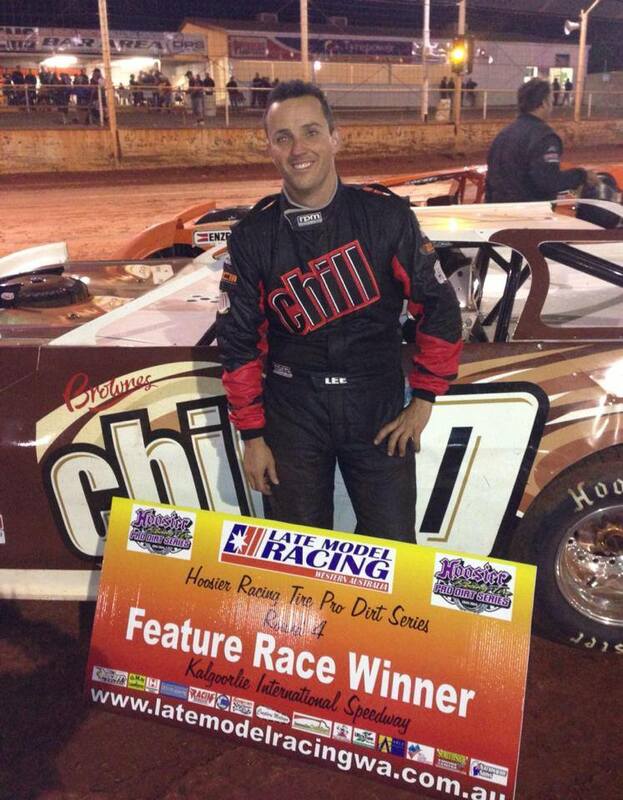 The race was run at a rapid pace with all cars remaining on the lead lap until a spin by Dave Scott at around half race distance brought on out the yellows. 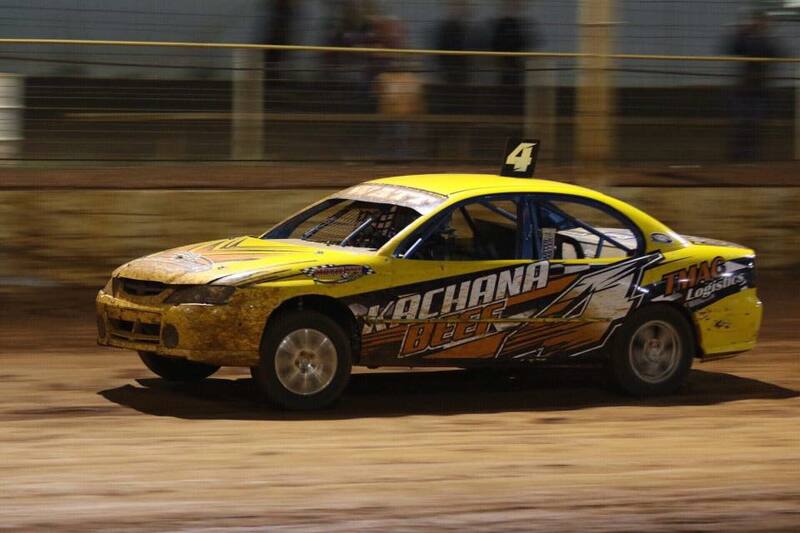 The first half of the race saw the demise of pre race favourite Paul Ahearn who had won all his heats and the pole shuffle. 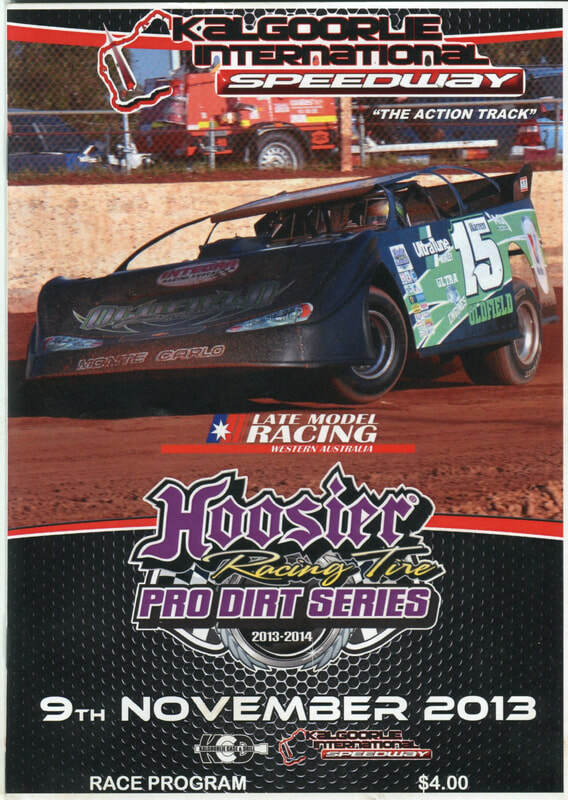 Ahearn had water pump problems and withdrew near the half way mark, The restart saw McEllister running hard up front where he had been joined by by Williams and Andrew Nelson, Nelson was looking for a way past Milliams, while the WA 1 car was looking to get passed McEllister! it was an absorbing battle with the three often running different lines. Further back in the pack there were a number of close battles with the track starting to become slick, a series of yellow flags came out in response to spins. 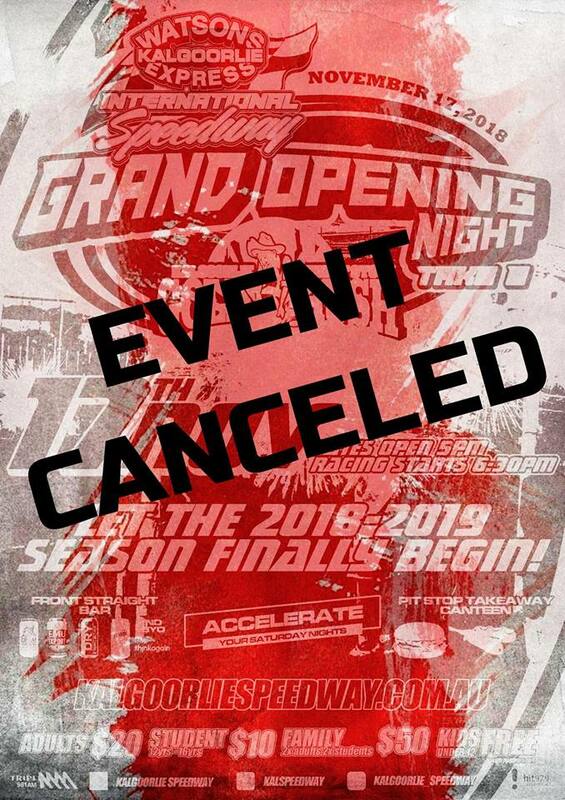 Finally, only a handful of laps from home, McEllister was unable to sustain the continued pressure from Williams and Wilson and spun out, He was collected by Grant Campbell who was running in forth, Both cars were damaged and unable to continue. 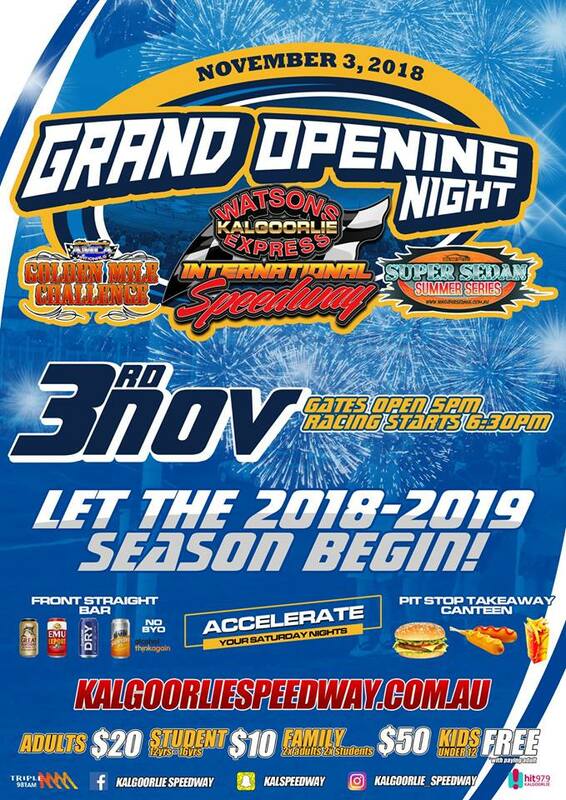 On the restart Williams was able to establish a small break over his fellow Esperance competitor in Wilson with Devon Edwards from Geraldton moving up into position three. The last few laps also saw the yellows on display for several more spins, David Guy moved up to challenge Edwards for third but was unsuccessful. 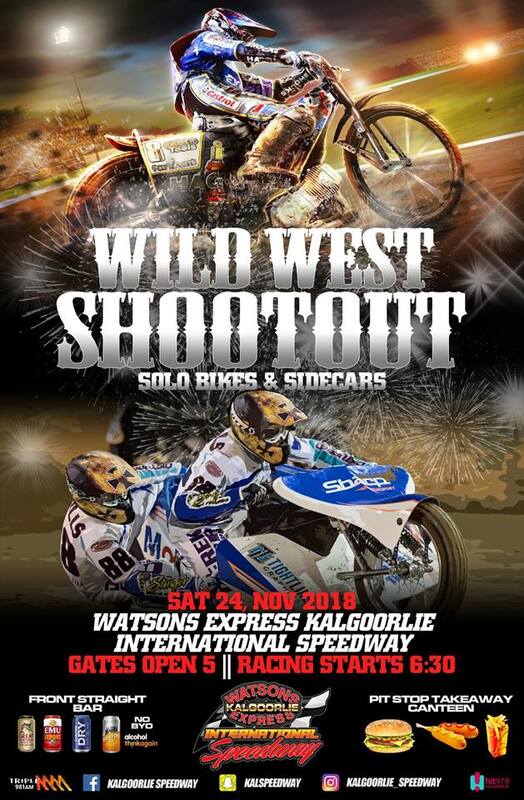 Williams finally crossed the line a comfortable winner over Wilson while Edwards ran third, Guy Fourth and Max Shepherd next, then followed Neil Kristiansen, Lance Beaver, Cameron Ahearn, Mark Broome and Ben Goodridge who was one lap down. 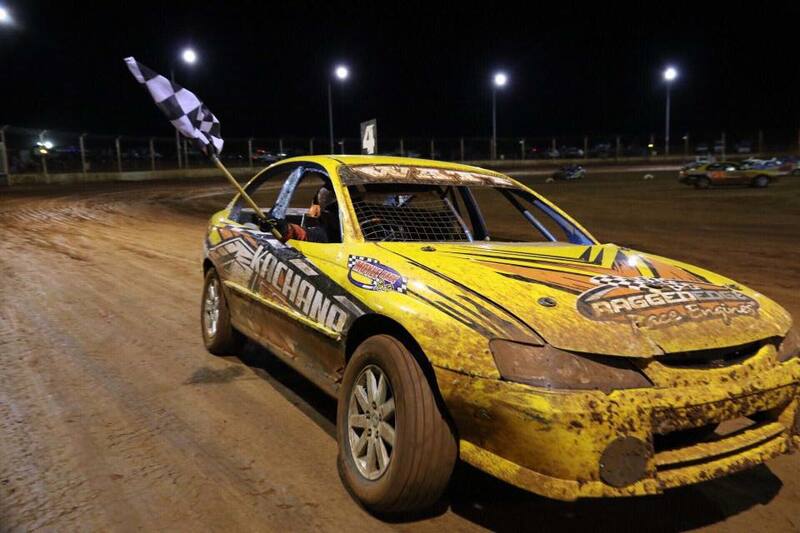 Earlier in the night six qualifying heats were run, In an outstanding exhibition Paul Ahearn won his three, while other winners included Kristiansen, Campbell and Williams, Paul Ahearn also won the the six car pole shuffle. 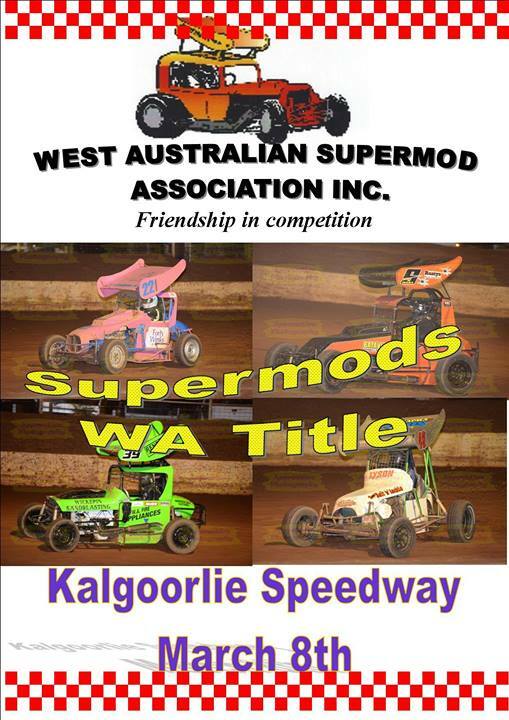 The WASA Supermods turned on another great championship, The presentation of the cars and the standard of racing was a credit to all involved. 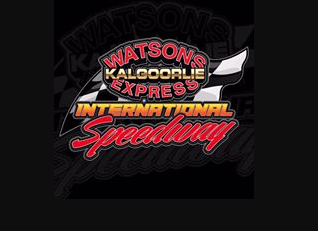 Round 6 of the 2015 - 2016 Pro Dirt series was held at the Kalgoorlie International Speedway on Saturday night the 5th of December 2015. Slightly down on numbers with a car count of 13 and the threat of being rained out didn't detract from the meeting, most of the guns were there 2 Oldfields, Jamie and Warren who have dominated the round wins so far, Michael Holmes fresh from a round win at Bunbury, Kye Blight the winner of this round, Paul Joss who finished 2nd at Bunbury, Brad Ludlow ex National Champion was back, and Morgan Melvin who has shows splashes of class prior. 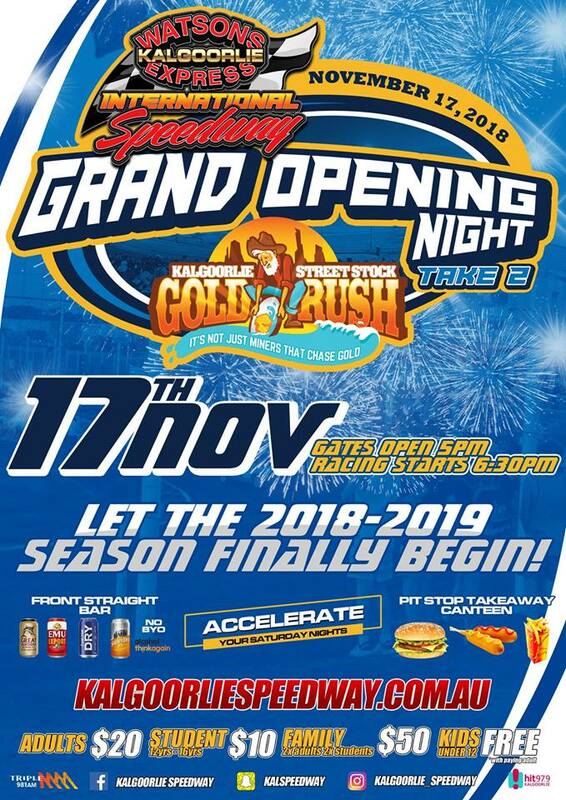 In the past Kalgoorlie and Late model division have had problems with water, 2 years ago the meeting was called off after an overwatering problem with the race track, and prior to that some previous years have been rained out, This year was no exception thunder storms were forcast but the club battled on, the night was interrupted by rain, this only slowed the nights racing but didn't stop it. 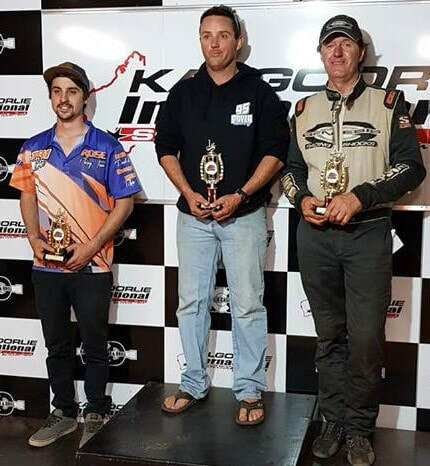 Three noteable emisions from the line up were Kye Blight's fellow Revelution Gang members Brad Blake out with damage from the previous meeting at Bunbury, Lee Watt waiting on engine parts from the states and Jamie Moon who is currently sidelined with back spinal problems. 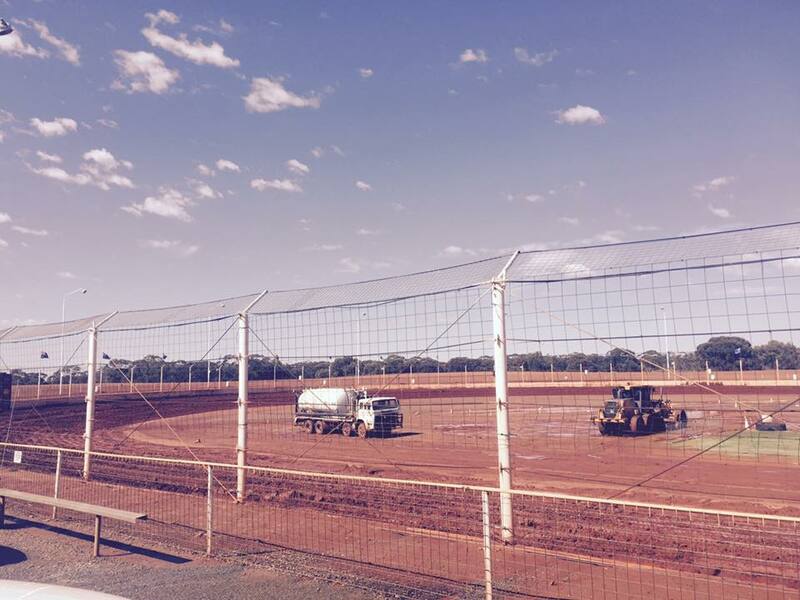 Saturday and we have had a lot of early morning rain, The track preparation crew are about to get to work, no further rain was expected but it did and the club never gave up. 2018 - Photo's: Blake Jones Photography. 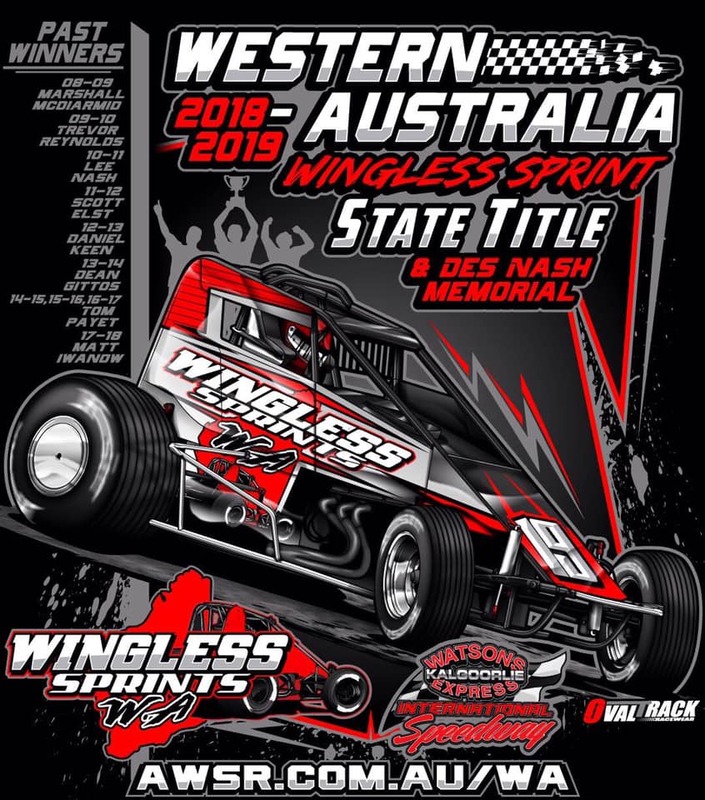 Kalgoorlie International Speedway hosted the 2018 2019 West Australian Wingless Sprints state championship over the weekend of the 26th and 27th of January 2019 at there venue.